Our last installment in the Life in China series was about cost of living here in Shenzhen, China. 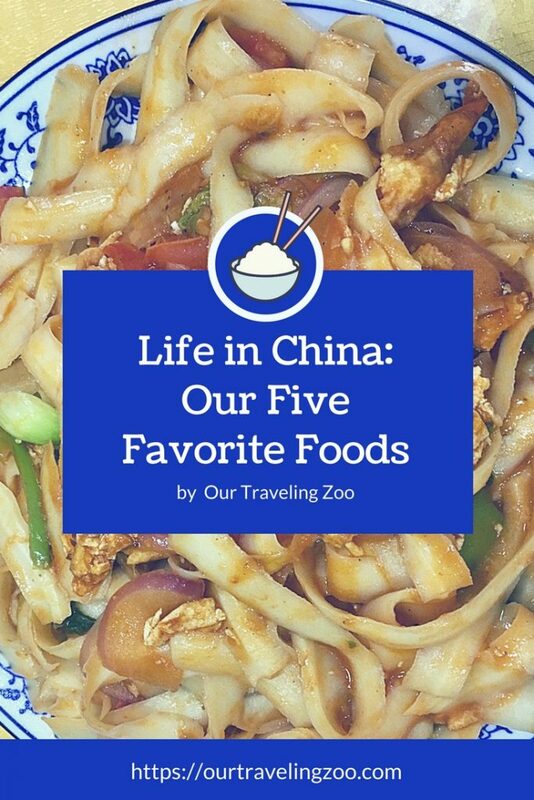 This week, we are writing about our favorite truly authentic Chinese foods. China is renowned for its cuisine, of which it has eight main sorts. Each one is available in Shenzhen, since the city is an agglomeration of people from all over the country. Sadly, we’ve yet to acquire enough Chinese language (or maybe we just haven’t eaten out with enough knowledgeable Chinese people) to discern which dishes belong to which sort of cuisine, never mind to remember what all eight of the different cuisines are called, but we’ve assembled a list of our five favorite dishes that are must-sample good when you’re in the neighborhood. If you’re a Chinese food fan, this post is for you! 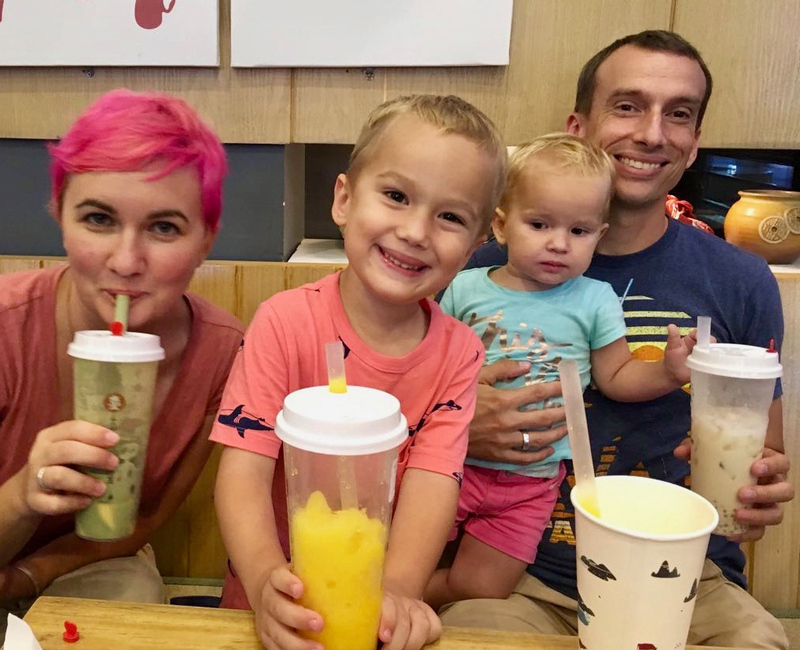 It’s fun to try bubble tea, which is outrageously popular here in Shenzhen, but it doesn’t make the list of five favorites. Favorite number 1: Kimchi fried rice. >Okay, okay, stop yelling! It’s not Chinese, but it’s delicious. A serving, topped with fried egg, runs 25 quai at the Korean joint near my workplace. I’d never had it before coming to China, and now it’s a staple. Runner up Korean meal: bibimbap, the stone pot rice and veggies dish served piping hot and still-cooking. 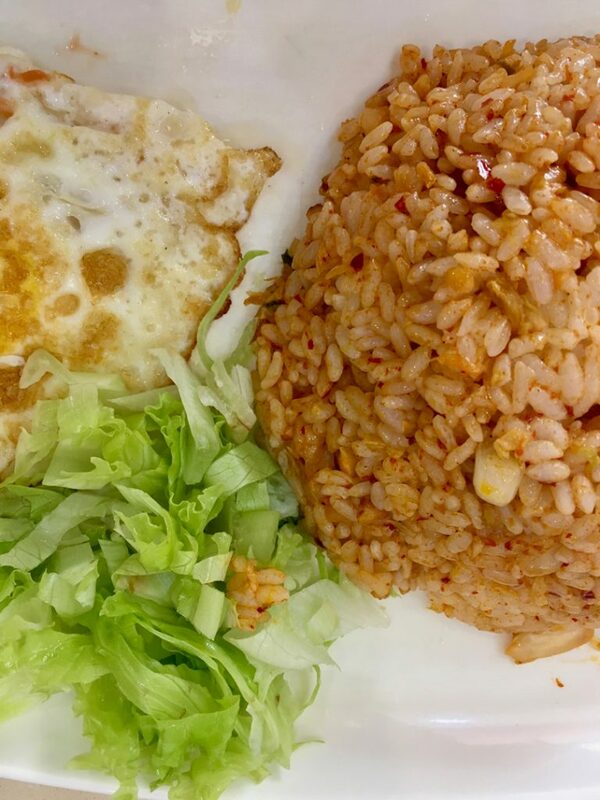 Kimchi Fried Rice is a simple and fabulous Korean meal. Favorite number 2: Muslim noodles. There are halal noodle restaurants all over Shenzhen, and there is one right next to my school, making it a convenient place to eat. It’s also very affordable: a big plate of freshly hand-pulled noodles with egg and tomato runs a mere 16 quai. If I get tired of the noodles, I can substitute rice for the same price. Biggest problem with this dish: sometimes I can’t eat the whole thing. Favorite number 3: Chinese dumplings (jiao zi). These are hard to find without pork, but there’s a restaurant not far off where they make ‘em from scratch and will do a nice veggie option filled with leeks and tofu or egg. Dip ‘em in a soy sauce and vinegar mixture and enjoy! A heaping serving is only 13 yuan. Pronounced “ma la tong,” this literally translates as “very spicy soup,” and if you fail to specify you want yours made only slightly spicy, you’ll pay for it with scorched taste buds. If you order correctly, this soup is scrumptious. The procedure is this: rock up to the counter, grab a big bowl, and use some tongs to pick up exactly what you want in your soup. Take it to the clerk, get it weighed, and wait about 5 minutes while it cooks. 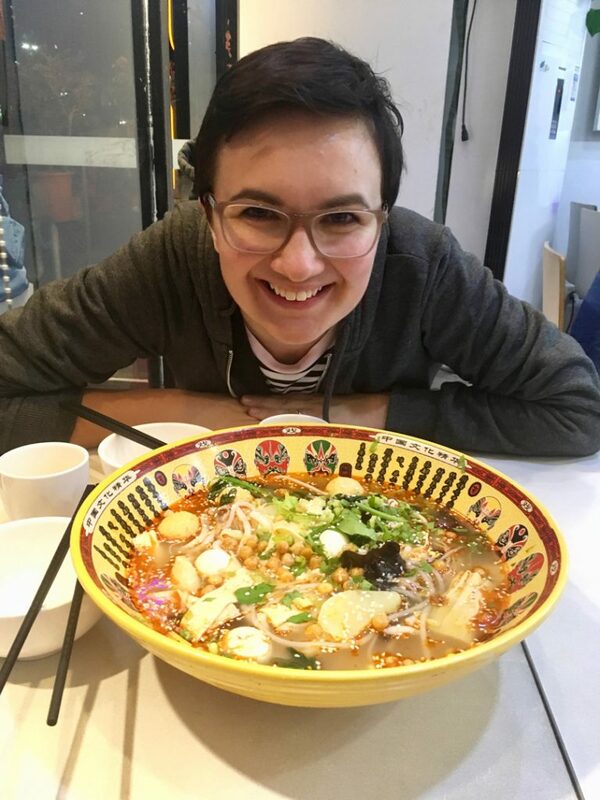 The best part: our whole family can eat for under 60 RMB for a couple of big shared bowls. Jenia is ready to dig in! A big bowl of malatang for two, please! Favorite number 5: Chinese barbecue! Chinese barbecue, you say? Yep. Basically foods I never thought of cooking on a gas grill can be done up in surprisingly scrumptious forms. It’s hard to narrow this down to a single dish, so here are the delicious things we often get: Grilled eggplant. Grilled tofu. Grilled green beans! Who knew green beans could be this tasty? Typically, the veggies are slathered with oil and spices and cooked over the open flame. The eggplant gets a char-broiling, then is sliced lengthwise and a mixture of spices (tons of garlic) are applied while it finishes cooking. Usually we can eat a big dinner including all these things and more, and not spend 100 yuan. Green beans, tofu, and bread, all hot off the grill. Photo taken after we’d started eating and only a moment before all was devoured. These are, hands down, our favorite things to eat in Shenzhen. We love them because they’re both delicious and inexpensive. If you come to the city, be sure to sample some of these dishes and let us know if you agree! If you are familiar with the eight cuisines, feel free to enlighten us as to which dish belongs to which cuisine, as we’d love to know. Life in China is tasty, y’all! Want to Cook it Yourself? Amazon’s got some cookbooks that might be up your alley! We’ve found ourselves getting good at a handful of delicious Chinese dishes. Head over to this post to find all our articles about being expats in China. I have got to make myself doing kimchi at home! With fried rice, it looks like a perfect winter warmer. 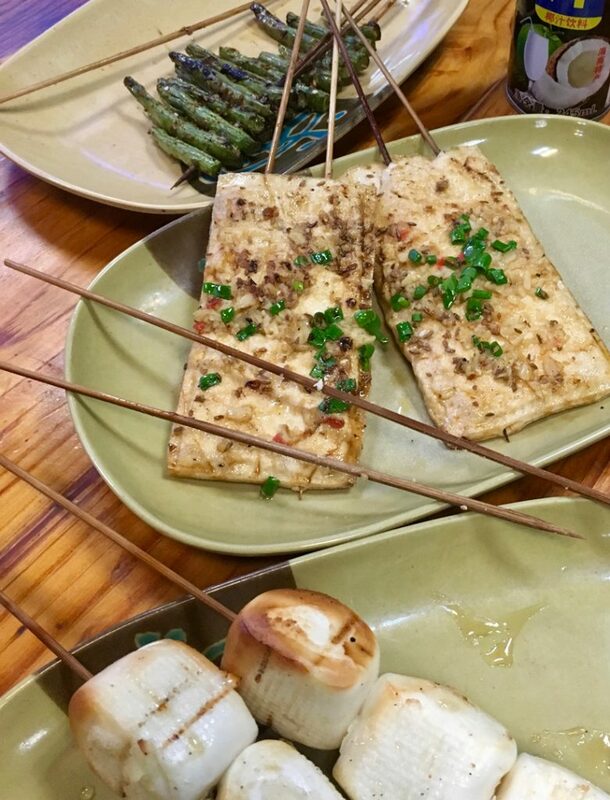 🙂 Also, love the idea of only vegetable skewers- we ate grilled fava pods in Japan, and they were delicious (will try to recreate them at home as soon as the fava beans are big enough). That sounds yummy! We still haven’t made it to Japan. We definitely want to try recreating some of these grilled veggies in the States this summer!